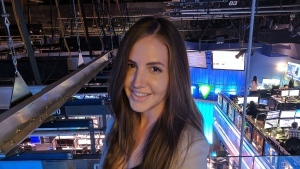 Jackie joined the CTVNews.ca team in the summer of 2016. Before making the switch to digital, Jackie worked as a presentation producer and a chase producer for CTV News Channel for three years. She earned a degree in history from Queen’s University before attending Centennial College’s post-graduate journalism program where she worked as a managing editor for the school newspaper. Jackie enjoys writing stories about politics, current events, technology and lifestyle.